Manned missions to Mars, the Moon, and beyond require a lot of compact, versatile equipment that will enable astronauts to stay as long and learn as much as possible. Naturally, much of that equipment pertains to human survival and comfort. One of the latest developments is an inflatable greenhouse designed for the growing of crops far beyond Earth’s atmosphere. In addition to serving as a source of food production, the greenhouses will also function as an organic life support element. The plants within will breathe the carbon dioxide exhaled by astronauts, and they, in turn, will have a source of oxygen naturally emitted by the plants. In addition to nutrition and breathable air, the greenhouse will also provide water and waste recycling functions, serving as, what NASA calls, a “bioregenerative life support system”. The greenhouse prototypes were built by the Sadler Machine Company of Cedar Rapid, IA and designed and tested with the help of a research team at the University of Arizona in Tucson. They are cylindrical in structure, stretch 18 feet in length, and nearly 8 feet in diameter. Unlike most greenhouses used on Earth—that rely on the sun as a source of energy—these greenhouses are designed to be kept under a bed of soil or regolith. They would rely on LED based artificial light for plant growth, which could be supplemented with solar light that’s captured and transmitted through fiberoptic bundles. If the greenhouses were placed on the surface of the Moon or Mars, radiation would compromise the system. 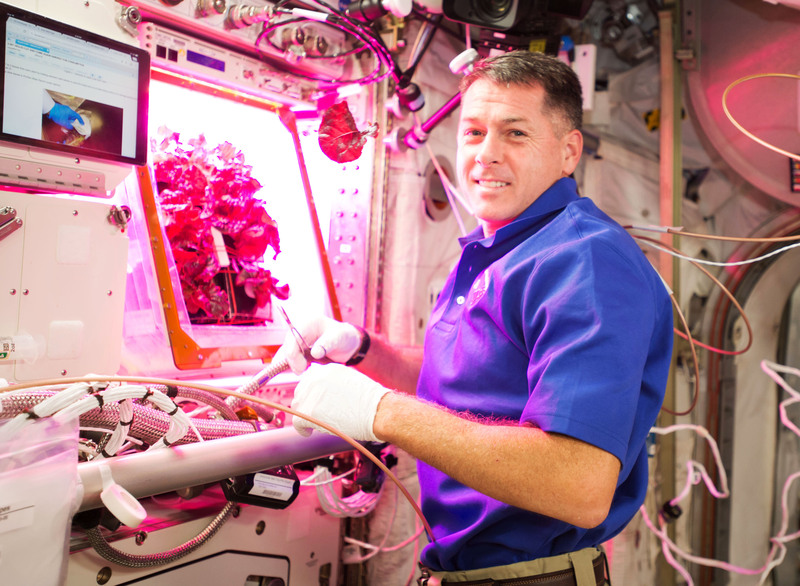 NASA and astronauts aboard the ISS have been performing a range of studies to see how edible, nutritious crops can be grown in space using artificial, self-contained systems. 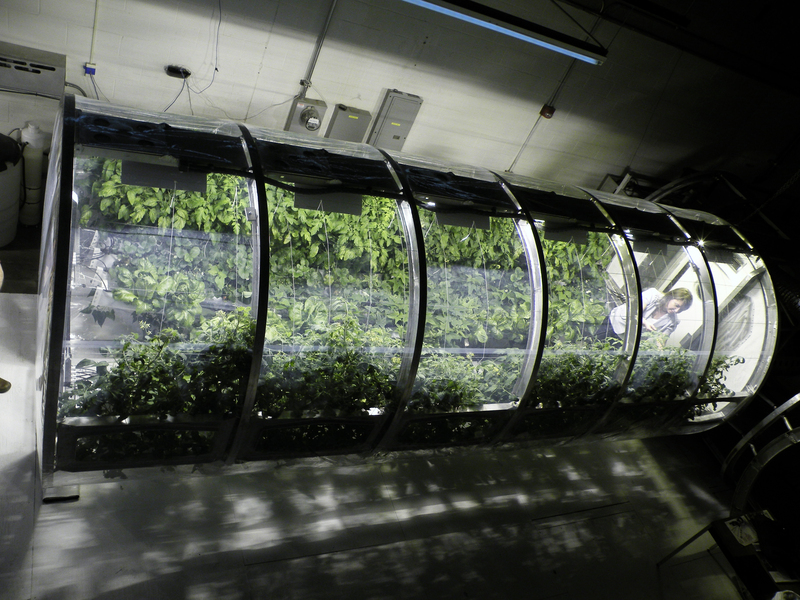 That research is being applied to larger life-sustaining resources like the greenhouse prototype. The system could represent a significant step towards longterm life sustainability for settlements on Mars and beyond. Will these greenhouses be similar to those that are someday set up on pioneering colonies there or on the Moon? Comment and share your thoughts on this development from NASA.